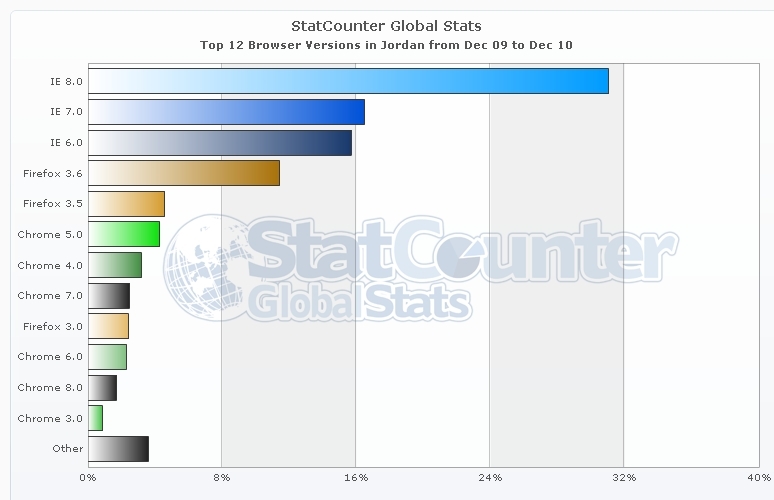 As you may have read recently Firefox has overtaken Internet Explorer as the most used browser in Europe, according to statcounter a free web analytics company. 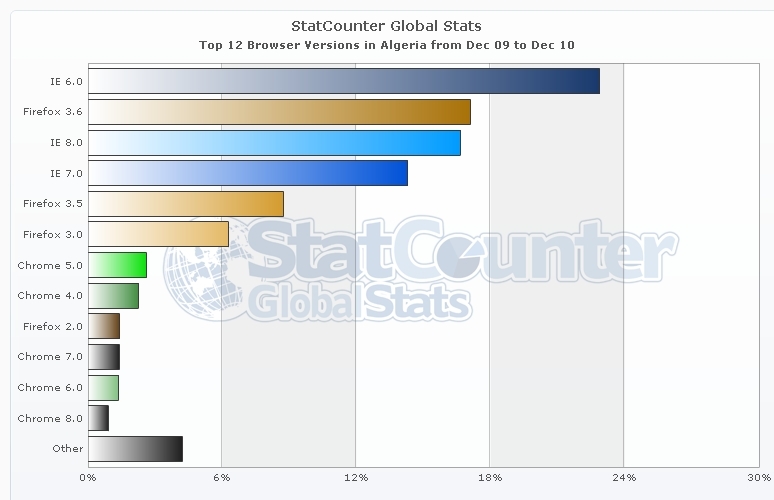 “This appears to be happening because Google’s Chrome is stealing share from Internet Explorer while Firefox is mainly maintaining its existing share,” – Aodhan Cullen, StatCounter chief executive. 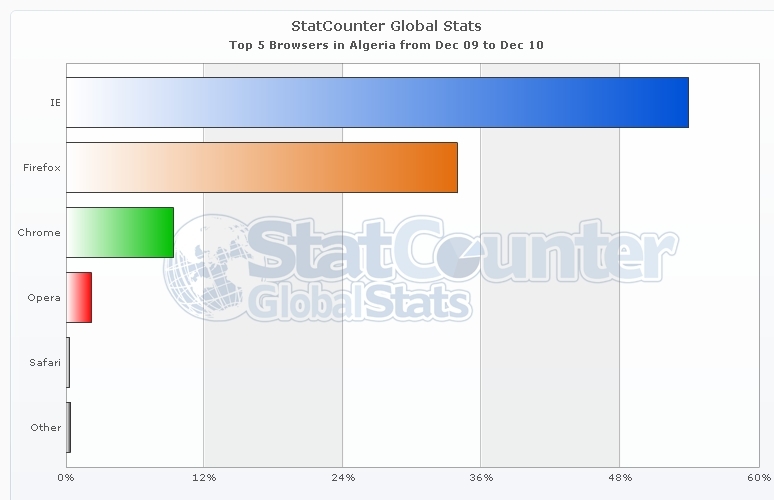 Google Chrome is currently in third place (but not for long) in Europe and has grown from 5.06% to 14.58% in the last year. 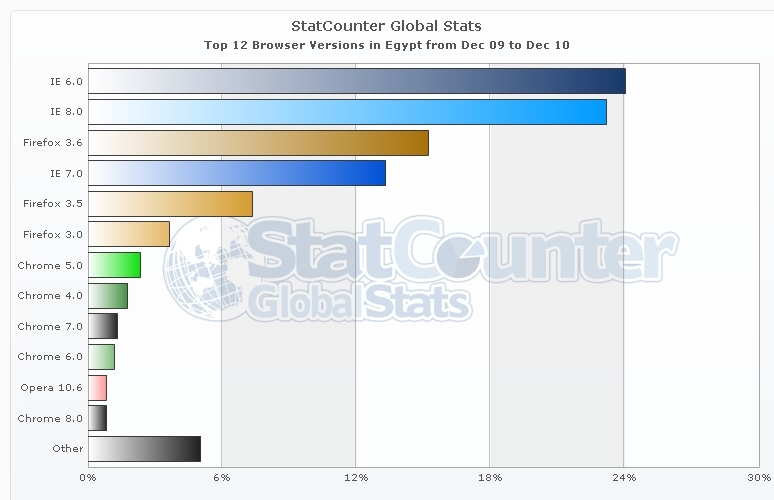 I think in a year or two, Chrome and Firefox will be battling for first place with IE trailing them. “We are probably seeing the impact of the agreement between European Commission competition authorities and Microsoft, to offer EU users a choice and menu of browsers from March last,” added Aodhan Cullen. Microsoft has agreed to provide users with the option to choose different browsers beginning from March 2010, and unfortunately for them a large portion of the users simply didn’t go with Internet explorer. 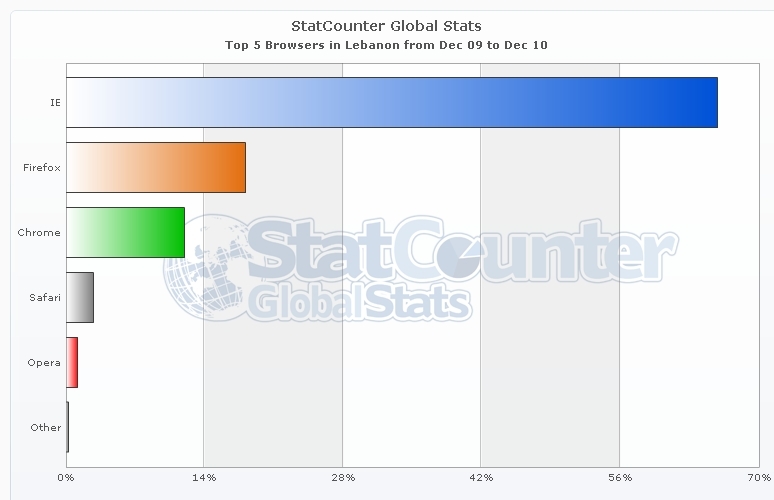 I don’t blame them, I personally don’t like IE, I prefer Firefox or Chrome as well. 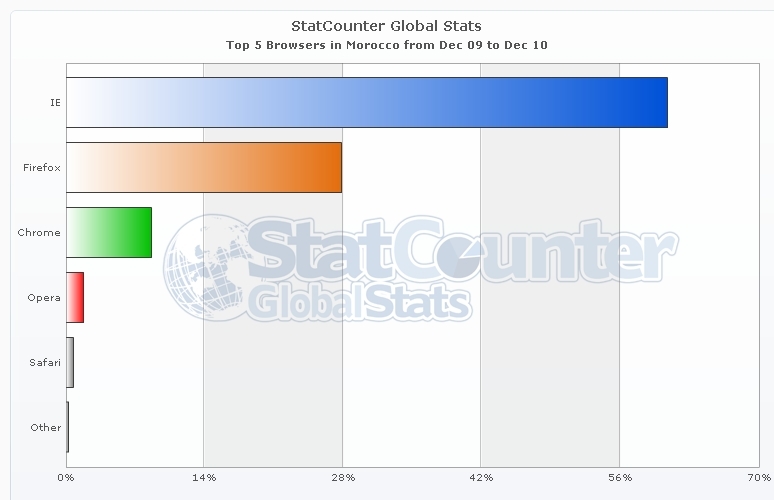 However its a different story in North America, where IE still has a clear lead over the rest of the browsers with (48.92%) followed by Firefox (26.7%), Chrome (12.82%) and Safari (10.16%) according to statcounter. Numbers from 7 countries around the MENA Region were collected which were: Algeria, Egypt, Jordan, Lebanon, Morocco, Saudi Arabia and the UAE. 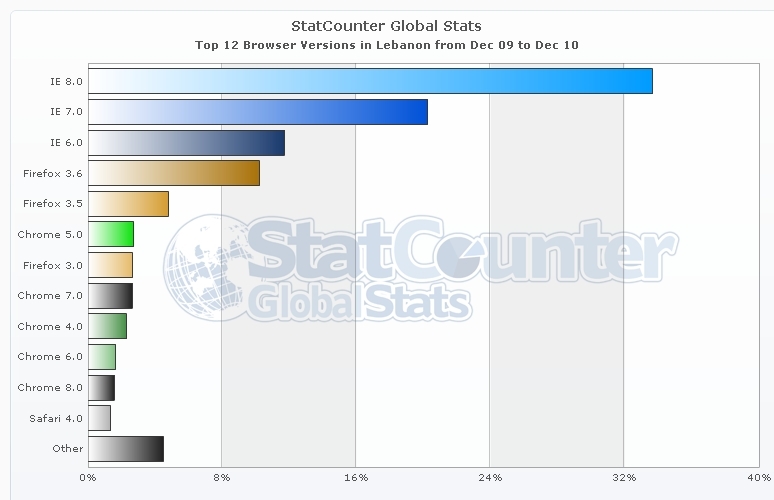 Firefox 3.6 had (12%) beating other versions of Firefox. Chrome 5.0 had (3%) beating other versions of Chrome. 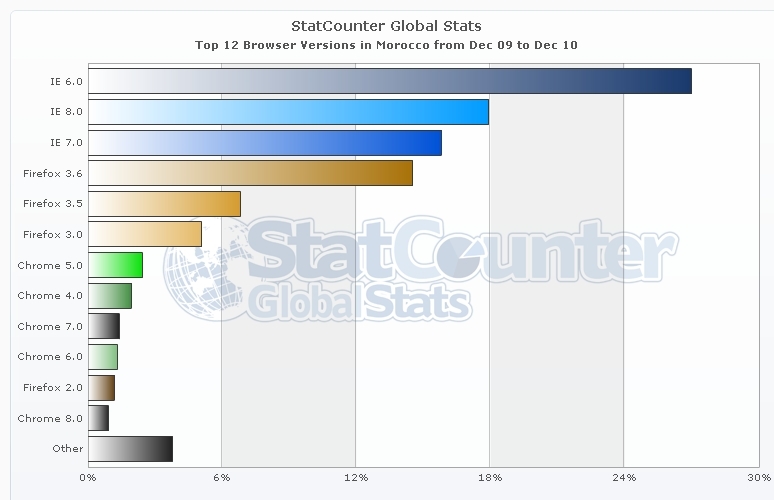 Algeria, Morocco and Egypt all had the IE 6 as their number 1 browser with (23%), (27%) and (24%) respectively. 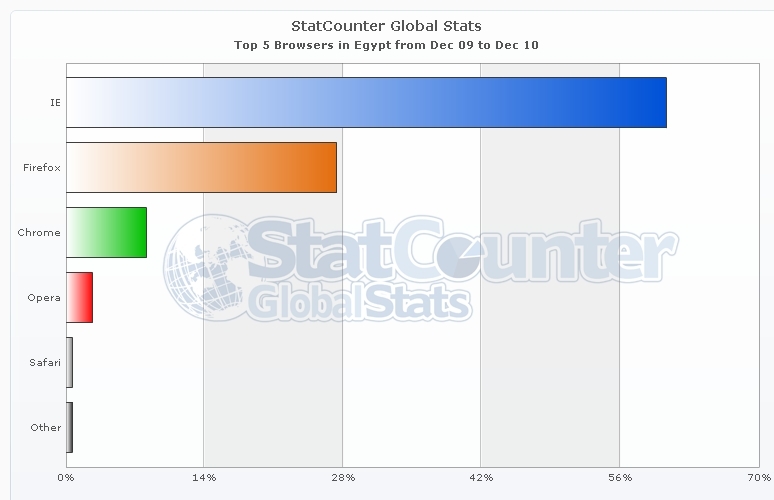 To paint a better picture for you that’s almost 8 million users (according to internet world stats) still on IE 6. Which is, well, kind of backwards especially when you consider that a number of major websites and companies stopped supporting IE 6 including Facebook, Google and Apple. 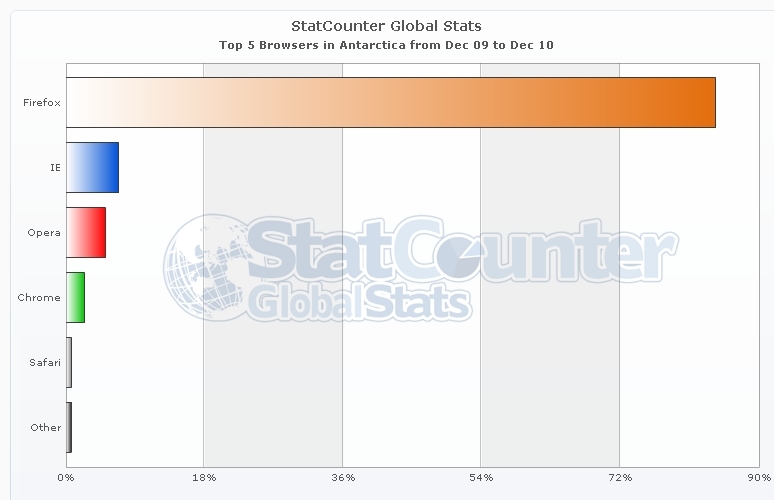 This one is not from the region, in fact I got it by accident but I thought it would be fun to post it, its Antarctica’s browser breakdown, Firefox is the most used browser, but what’s more surprising is that there are people in Antarctica using browsers categorized as other! No Problem Nadim, we're glad you found it useful. Thanks for sharing the information bro.